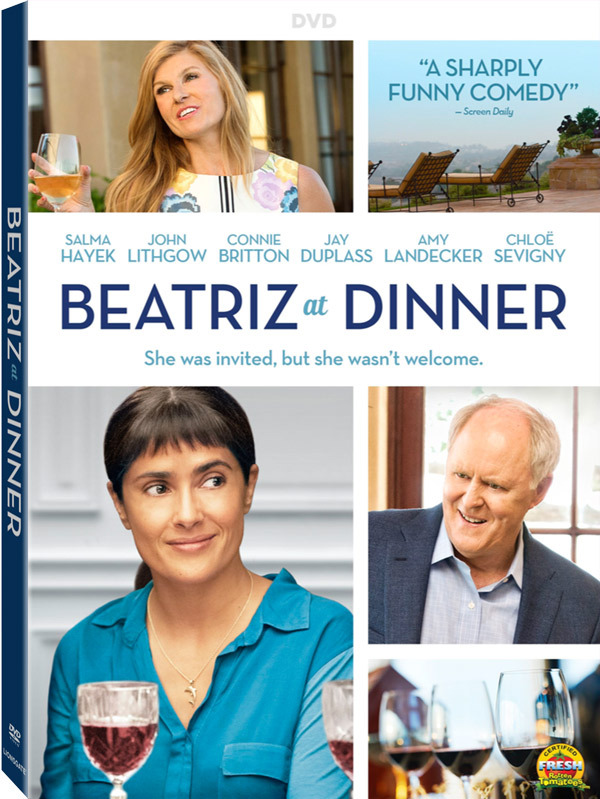 Oscar® nominees Salma Hayek (Frida, How to Be a Latin Lover) and John Lithgow (Terms of Endearment, “The Crown”) lead an all-star cast in "Beatriz at Dinner," arriving on Digital HD on August 29 and on DVD and On Demand September 12 from Lionsgate. The provocative and sharply hilarious film about characters from vastly different sociopolitical backgrounds colliding over dinner is written by Mike White (School of Rock, TV’s “Enlightened”) and directed by Miguel Arteta (Youth in Revolt, The Good Girl), and also features Chloe Sevigny (TV’s “Big Love,” Boys Don’t Cry), Connie Britton (TV’s “Friday Night Lights,” “Nashville”), Amy Landecker (TV’s “Transparent,” Doctor Strange), and Jay Duplass (TV’s “Transparent,” “Togetherness”). Salma Hayek shines in this provocatively funny fish-out-of-water comedy. Beatriz (Hayek), an immigrant from a poor Mexican town, draws upon her innate kindness as a spiritual health practitioner in L.A. Doug Strutt (Lithgow) is a rich and ruthless real-estate developer. 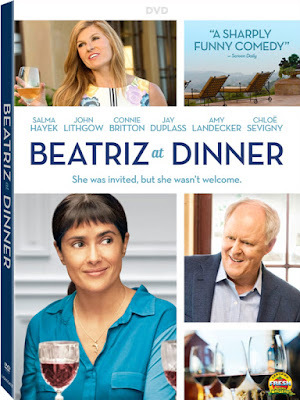 Featuring a Photo Gallery, Beatriz at Dinner will be available on DVD for $19.98.